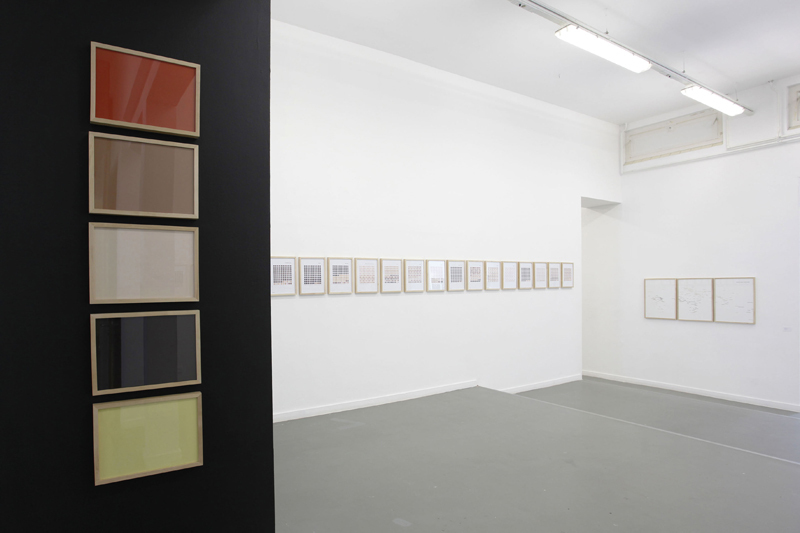 In recent years the art world has seen a striking interest in documentation and archiving. In the current era of Wikipedia and Web 2.o technologies, the access to source material has become virtually unlimited and the Internet functions as the archive of all archives. How can that immense amount of information be tamed? 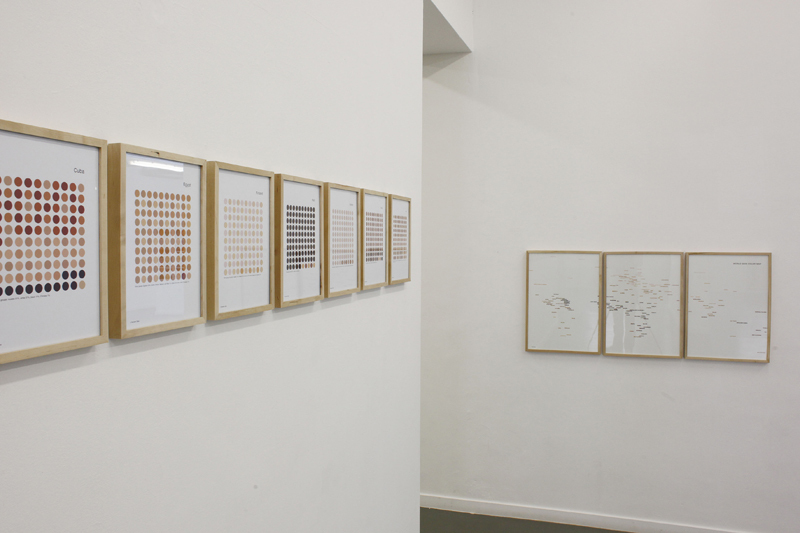 The artists in Source Material use an unorthodox way of unlocking, of ‘knowing’, in which the desire for order and clear arrangement can be converted into a passion for understanding the world. 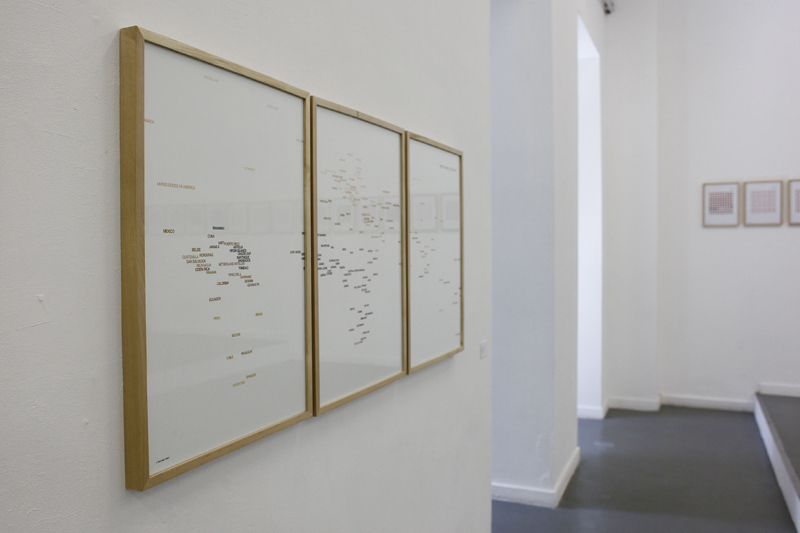 Surrounded by a flood of images, in their work they use archives, databases, and encyclopaedias or set up their own image bank. The traditional meaning and hierarchy of the images is made subordinate to a new logic, to a subversive, narrative or summarizing way of showing the world. Reineke Otten studied at the Design Academy Eindhoven. 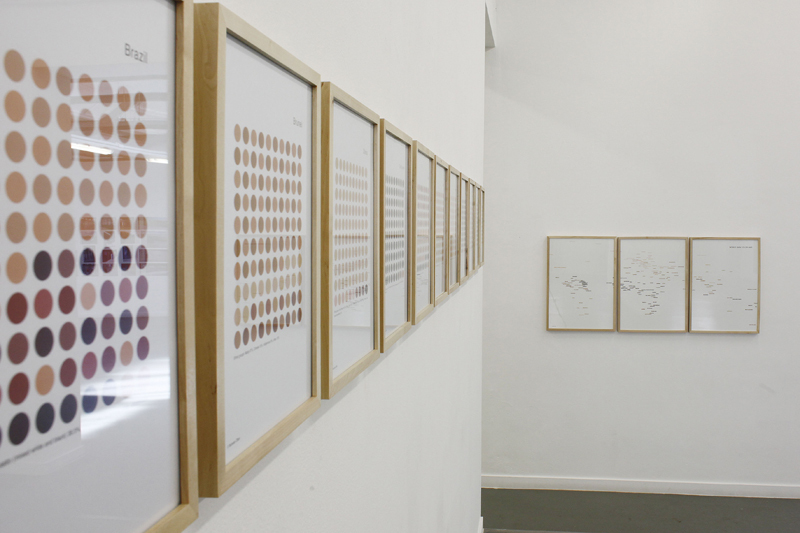 She often examines large social processes in her work, which she records and classifies in a personal manner. 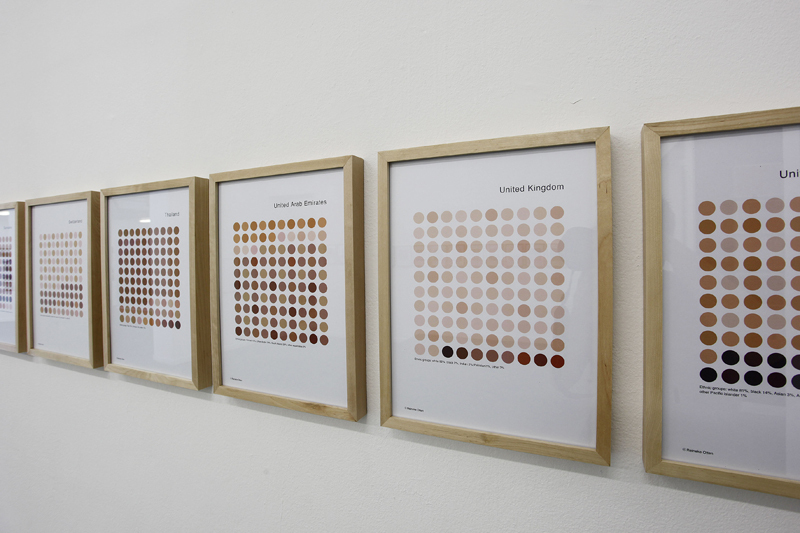 In 42 World Skin Color Maps she charts the skin colours of the world’s population. She determines the characteristics by using the World Fact Book, Internet data, interviews with dermatologists, research by cosmetic companies, thousands of images and particularly her own intuition. 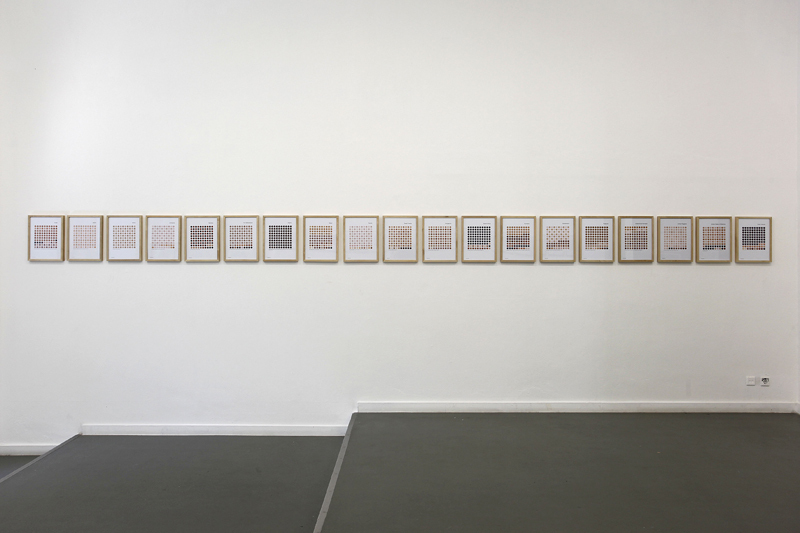 The map of the world was not the point of departure for drawing up the inventory; Otten chose an abstract system, in which several rows of dots of a colour-family that range from light to dark per country. This gives each map more the character of a sample sheet of possibilities rather than a documentation of types. Her inventory is far removed from the usual politically charged atmosphere that is typical for demographic charts.